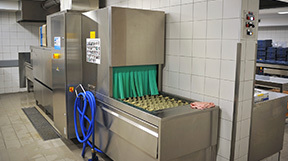 Norfolk Foodservices (Norfolk) is a premium provider of commercial kitchen equipment services. We partner with our clients to ensure that your kitchen is maintained and functioning at its most productive. 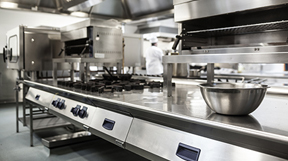 We specialise in the servicing, repair and maintenance of all types of commercial kitchen equipment. Additionally, we are able to provide you with a range of rental equipment options should you have a short term need as a result of an item breakdown or special event. At Norfolk Foodservices we also provide turnkey sales, installation and project coordination. Our organisation ensures that the installation of your equipment is completed to the highest standards, with minimal impacts to your business. Our technical capabilities cover; electrical, gas and refrigerated equipment thus, we are able to service a broad range of items in commercial kitchens. Our services are available 24 hours a day, 365 days of the year to ensure that we provide our customers a fast and proactive response to meet their service needs. 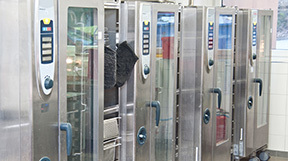 Our proficiencies incorporate a huge range of equipment styles and types, from the repair of small food processors right up to large production cooking machinery such as; bratt pans, blast chillers and kettles. Our technicians have a comprehensive understanding in the servicing of manufacturers including but not limited to; Rational, Convotherm, Electrolux, Zanussi, Hobart, Robot Coupe, Brice, Garland, Goldstein Eswood, Waldorf, MKN, Washtech, Commenda and Winterhalter. Our breadth of experience and knowledge truly makes us a One Stop Shop and YOUR supplier of choice for the food services industry. Telephone us on 1300 304 455 or email us at service@norfolk.net.au.